INDICATIONS: Patients at low risk for skin breakdown and friction burns. 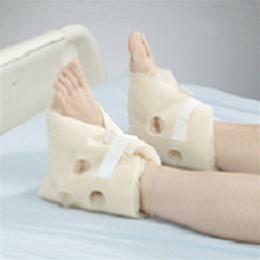 Made from synthetic fur and helps offer comfort and warmth for patients with sensitive skin. Extra large ventilation holes and “sure stay” strap.